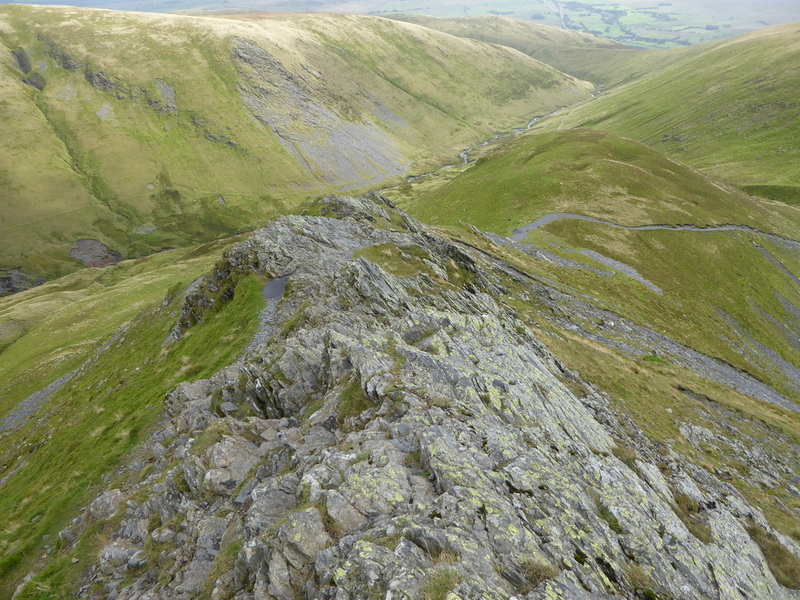 ​Sharp Edge is a Grade 1 Scramble and care should be taken along the arete. 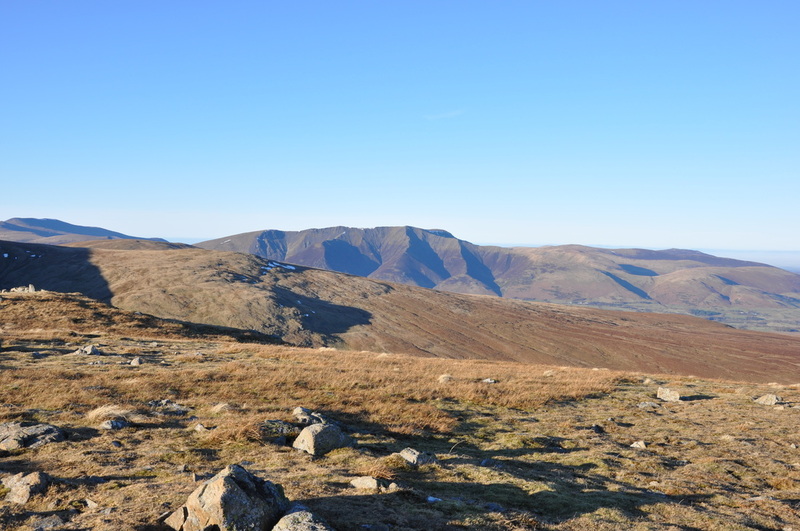 It is not for those who suffer from vertigo and it is also worth noting that there are no straightforward routes along the ridge and scrambling cannot be avoided. 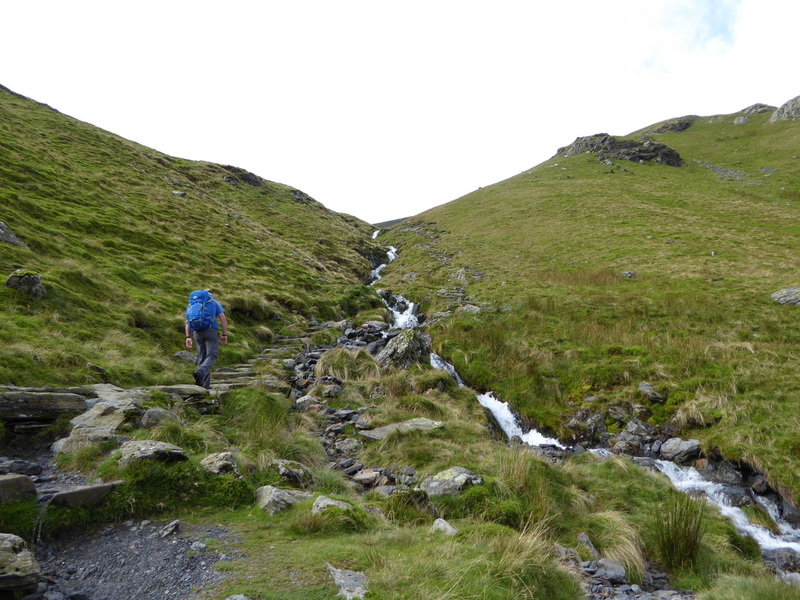 In the right conditions (as I had today) and with the necessary supervision it is great fun but in no way should it be attempted in high winds and ice and then only by experienced mountaineers with the correct kit. 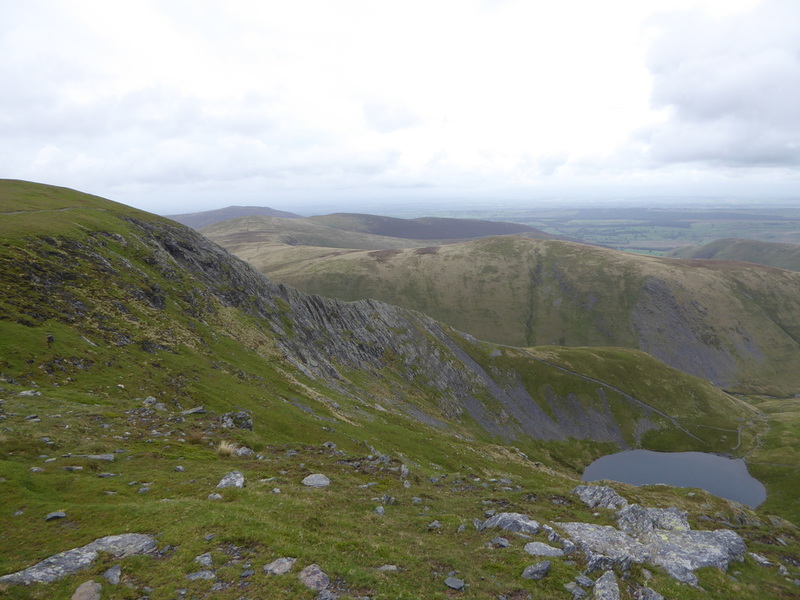 Rain, snow, ice and wind transform Sharp Edge from an exciting route that most hill walkers with a head for heights can tackle to a slippery and difficult scramble. 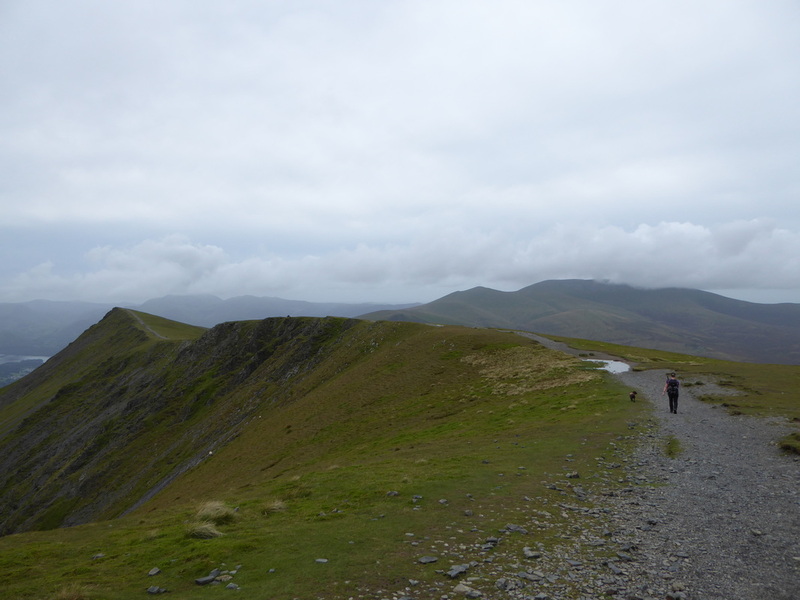 To most lovers of the Lake District fells Blencathra (also known as Saddleback) is an iconic mountain. 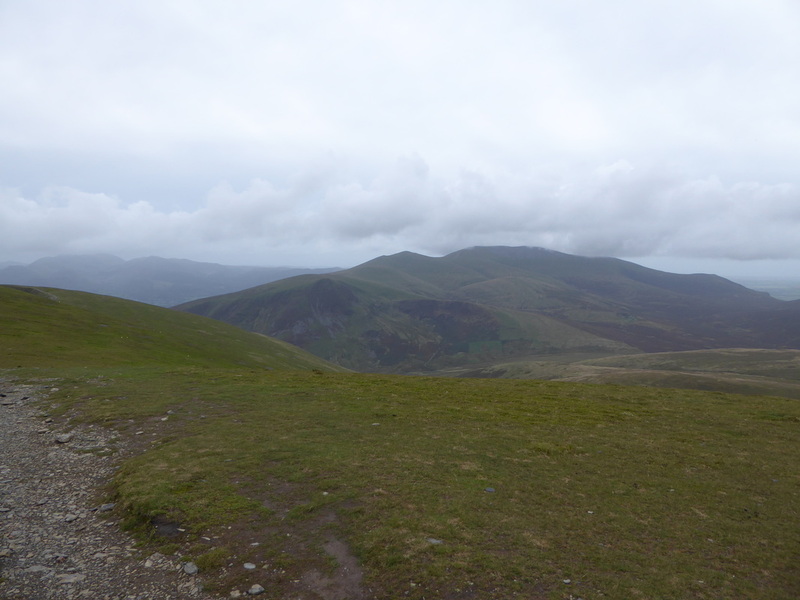 Sitting alongside the A66, Blencathra is easily accessible via a myriad of routes, both easy and challenging. 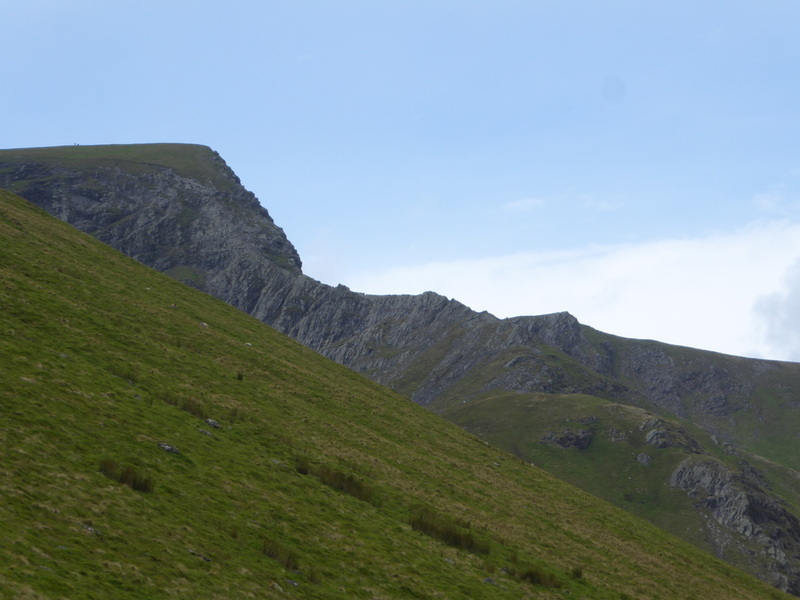 The mountain has several contrasts and as you drive along the A66 towards Keswick the southern face looks like a giant hand has scooped out the earth to leave several deep gullies. 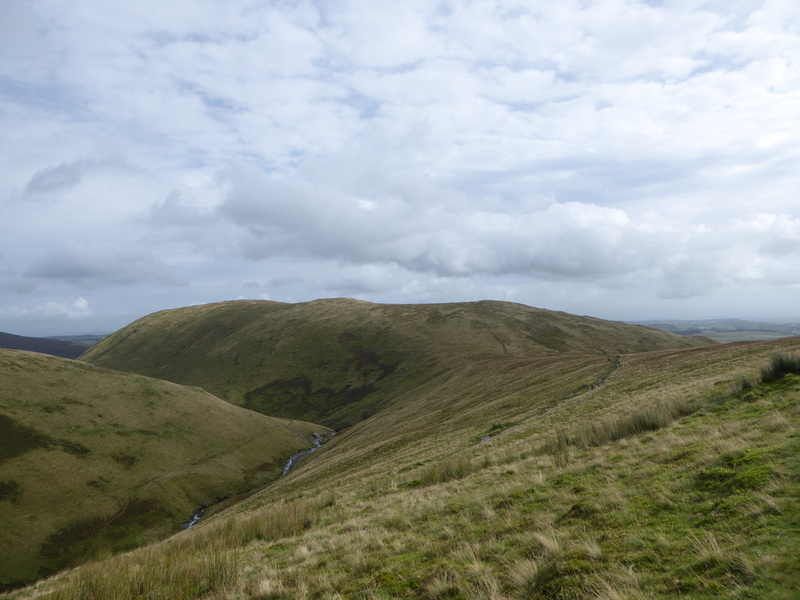 Meanwhile the northern side slopes gently into a grassy, moorland abyss. 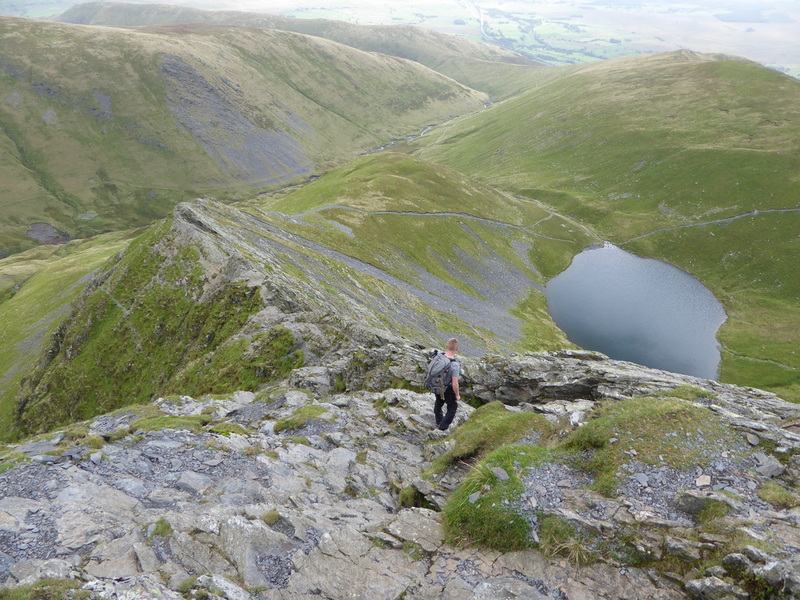 We have crawled all over this Lakeland classic and perhaps one of the best ways up is via the shattered, knife edge arête known as Sharp Edge. 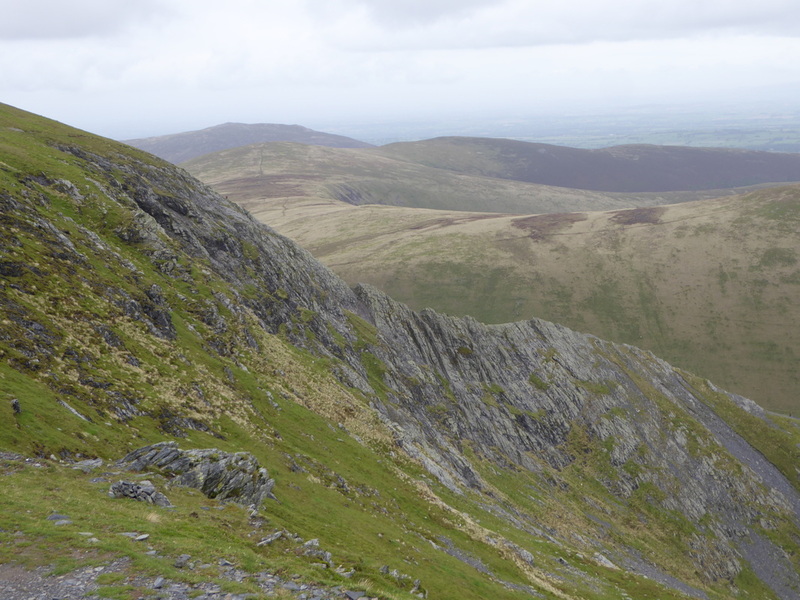 If Sharp Edge is to be the route of choice then save the ascent for a windless and clear day - devoid of strong gusts, ice and snow unless you are experienced in these conditions and in turn have the right kit. 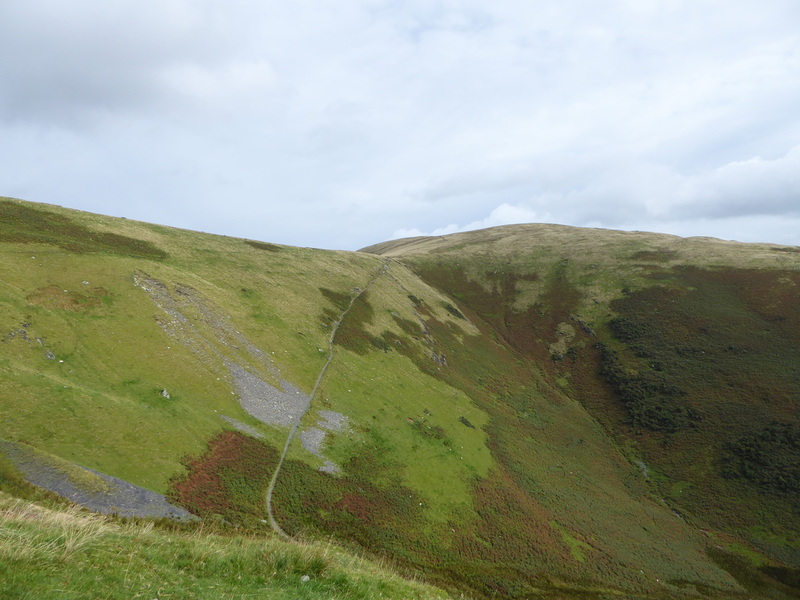 The walk today started from the popular Lakeland hostelry, The White Horse who do not seem to mind you parking in their Car Park for free. 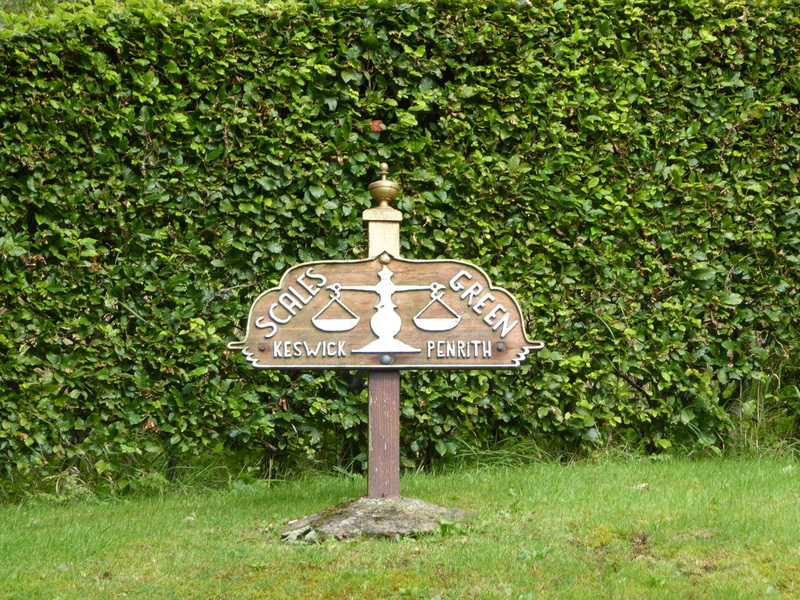 If you do park there then perhaps repay their hospitality by popping in for a post walk drink or meal - believe me it is a cracking pub (White Horse website link here). 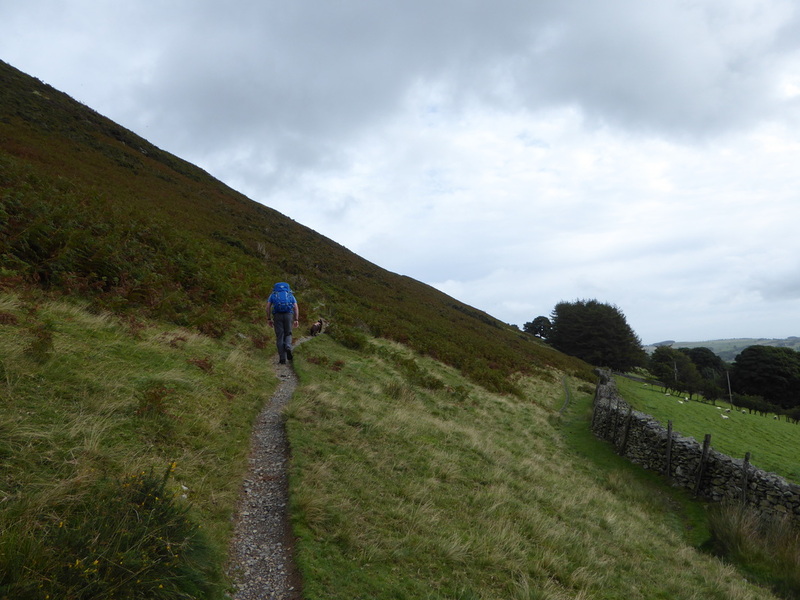 There are two ways on to the gently sloping path below Scales Fell - either go steeply up the field at the back of the pub or head along the A66 and turn in at Scales Green - the latter is a nice gentle ascent. 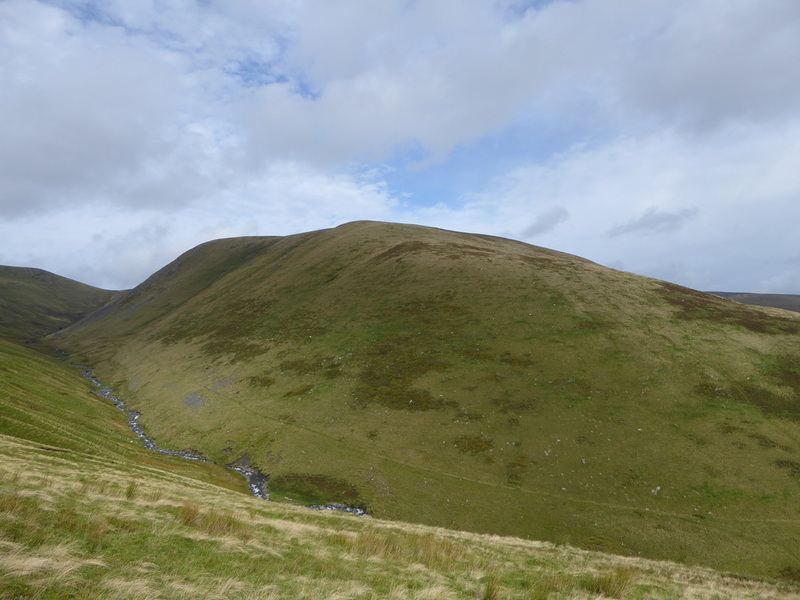 The route continued to head gently below Scales Fell and then kept to the west of Mousthwaite Comb far below where there were good views south to Great Mell Fell and east to Souther Fell. 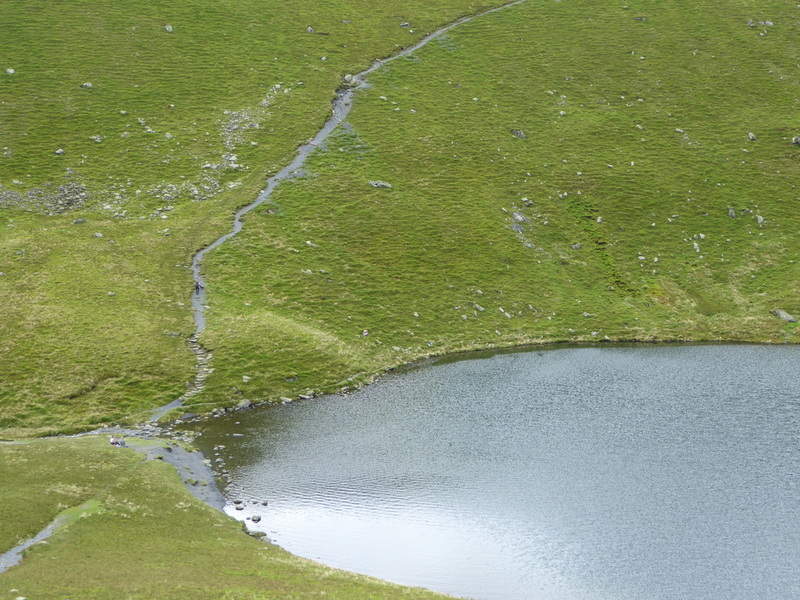 Reaching Scales Beck the gradient increased and we eventually arrived at the beautiful Scales Tarn that would be an ideal spot to stop & linger and we did for a short while. 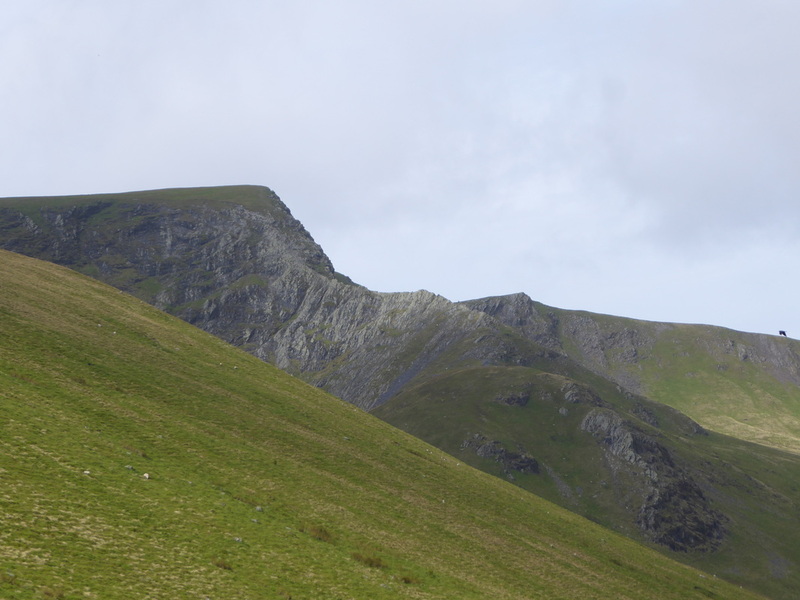 It was here that we got chatting to a Father & Son who were making the ascent of Sharp Edge for the first time - we let them go and would see them later on the ascent and up on the summit ridge. 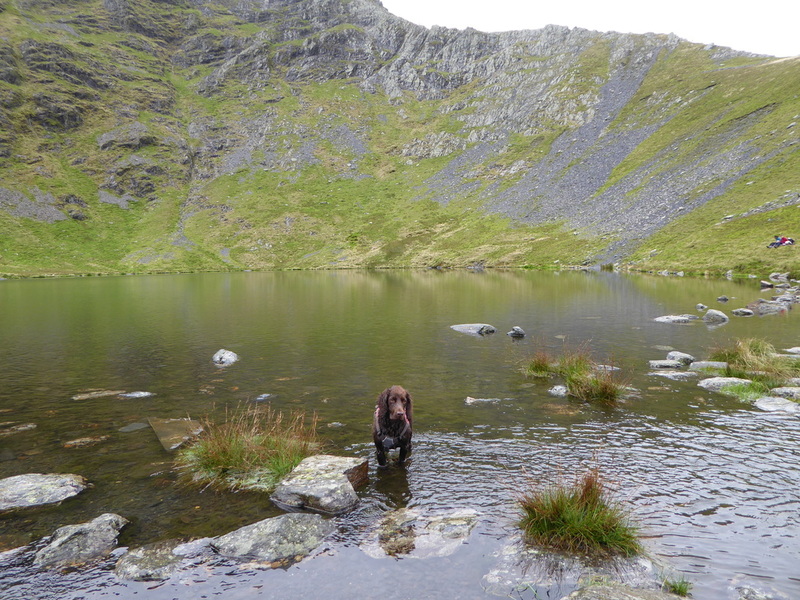 It was at Scales Tarn that Angie and I would split up - whilst our dog Fudge would probably be ok up on the arête, we decided not to take him up therefore he & Angie headed up via the Scales Tarn path and I went on to Sharp Edge. 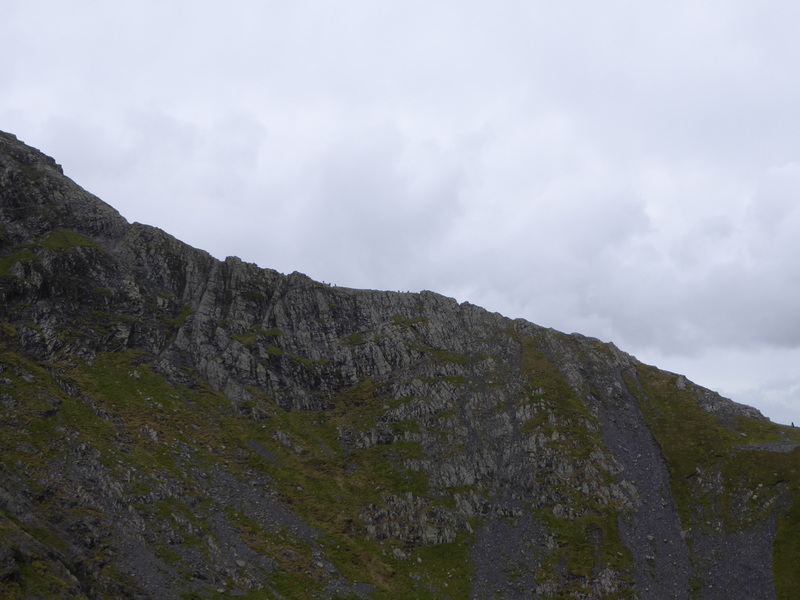 After a few hundred metres on a stony path I reached the foot of the arête and made my way along the shattered rock. If I had to be totally honest I thought the transit was fairly easy - it was just a question of taking my time and watching where I put my feet. 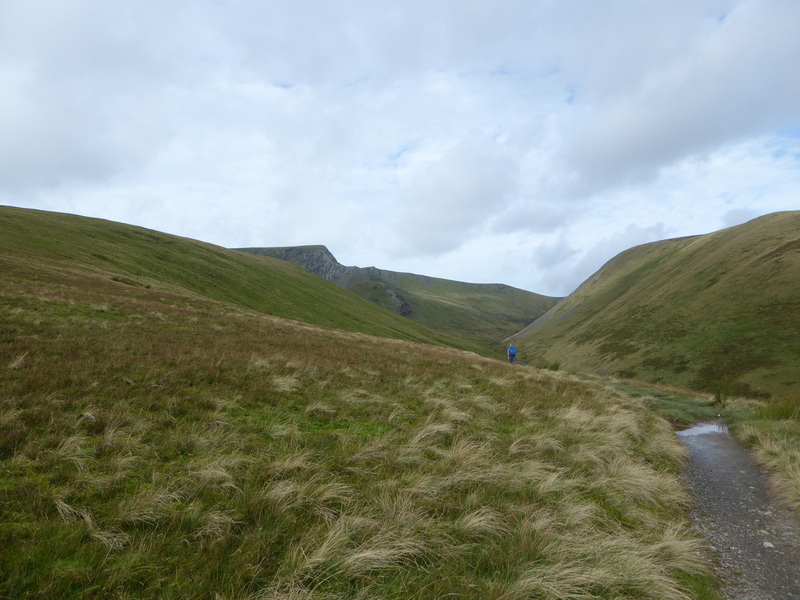 I was not rushed, had no one immediately ahead of me or behind therefore I took my time and really enjoyed the experience. 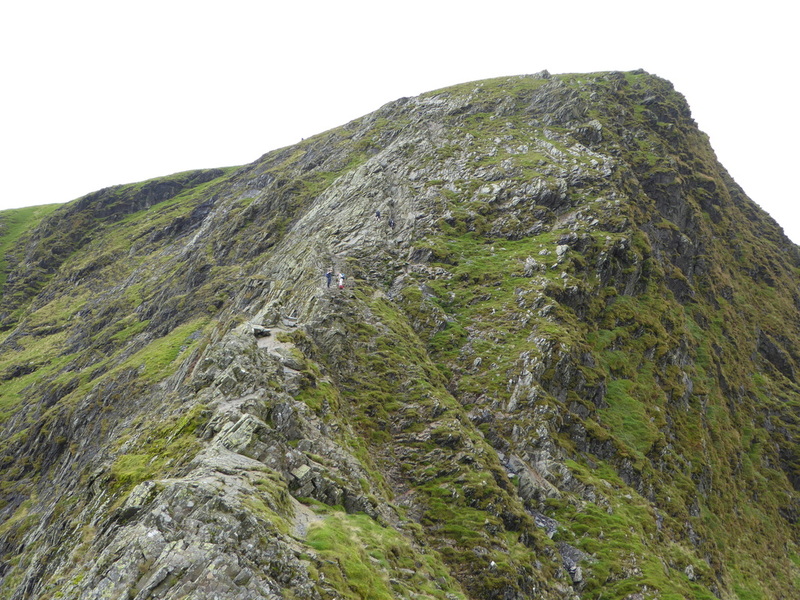 Reaching the Bad Step - a short steep drop followed by a short pull up I caught up with the Father & Son who were already making their way up the steep scramble on to the summit ridge. 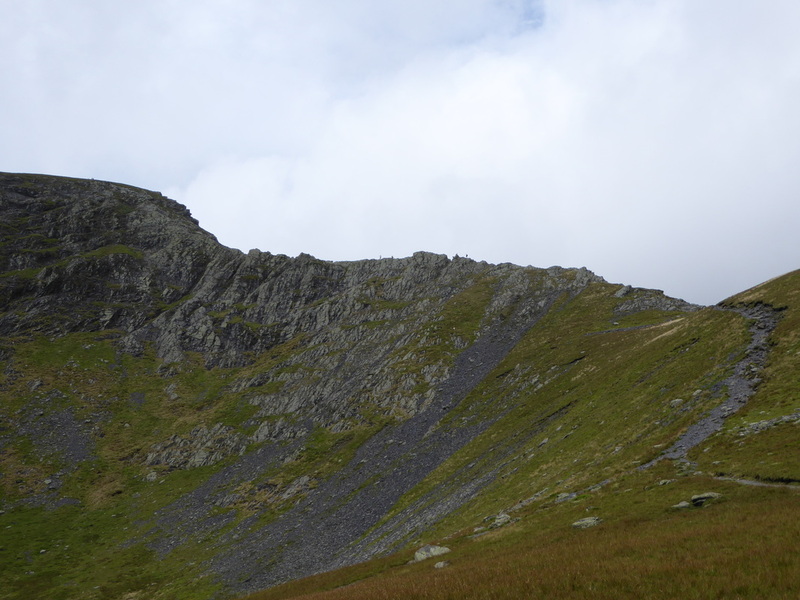 It was here that the fun began for me - lots of hand on rock to enjoy with a bit of exposure and I followed the two chaps up taking care to give them plenty of time and space in their ascent. 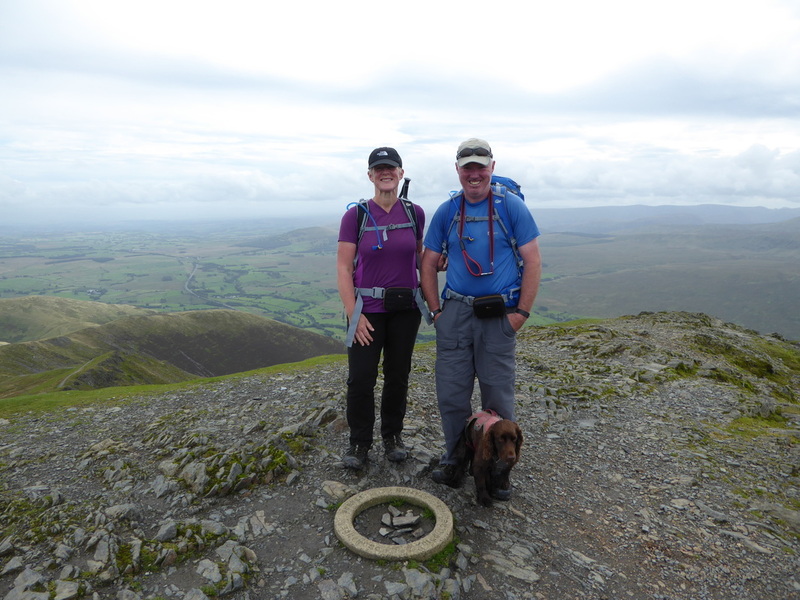 Soon enough the top of the ridge was reached and Angie & Fudge were waiting for me and we then walked along the ridge via Atkinson Pike to Hallsfell Top, the highest point & recognised summit of Blencathra. 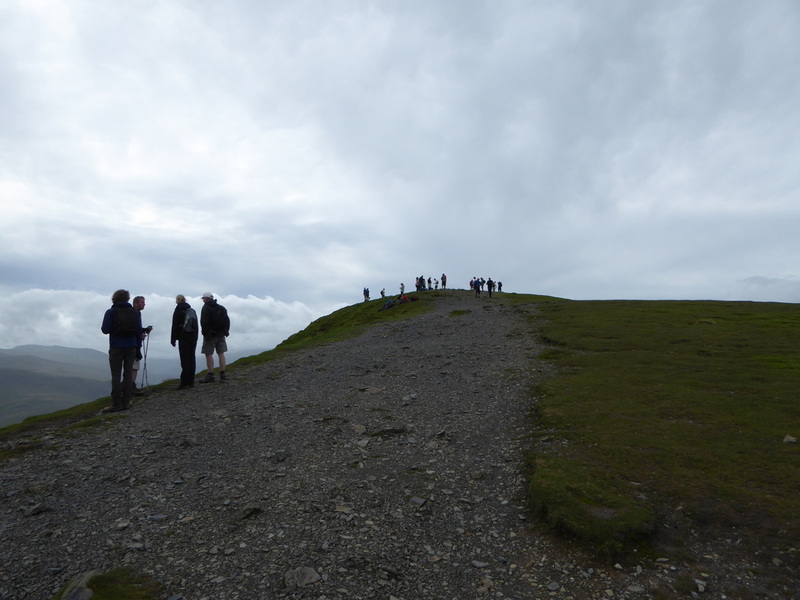 The summit was busy with people who had used the various routes up therefore after a quick photo we carried on along the ridge westwards to Gategill Fell before heading back on ourselves to the Scales Tarn path to make our descent via the tarn to the Car Park at the White Horse. 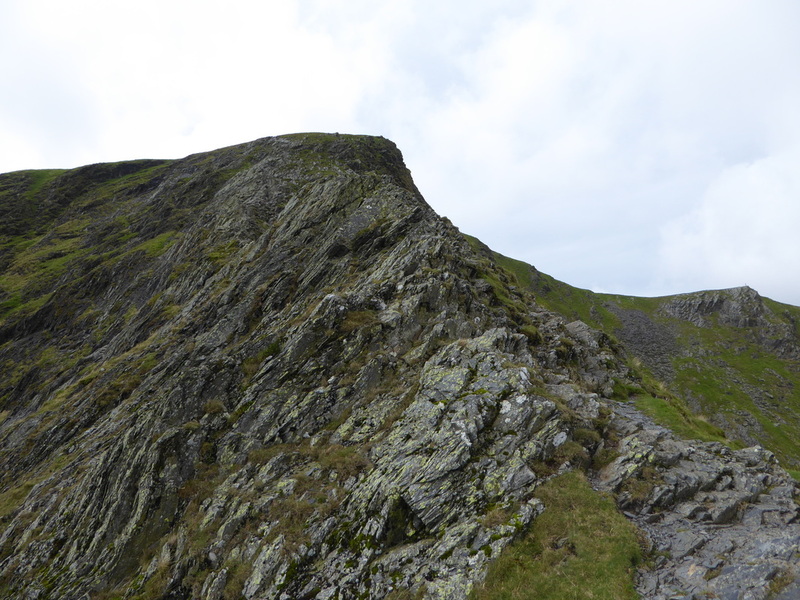 I really enjoyed Sharp Edge and this coupled with the ascent via Halls Fell ridge (link here) are two absolutely fantastic routes up this superb mountain. 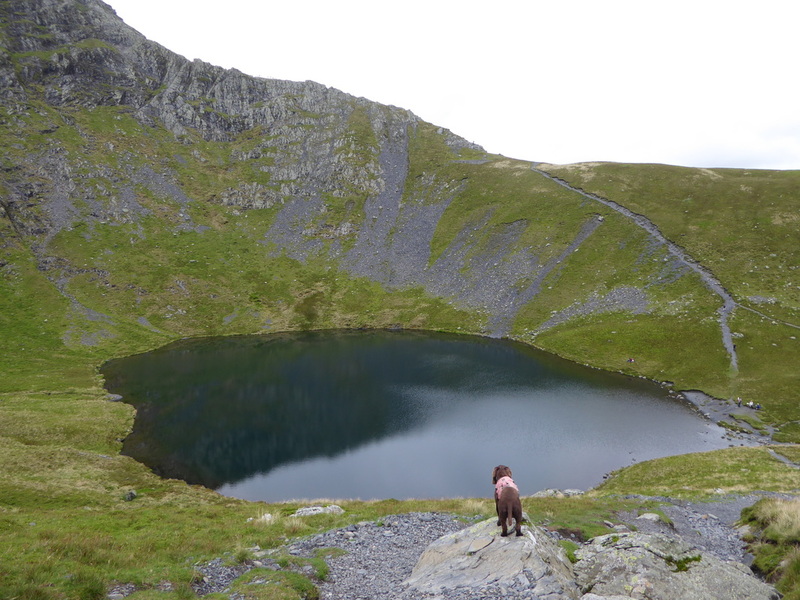 At Scales Tarn Angie and I split up - with the best will in the world, it is my opinion that Sharp Edge is no place for a dog. 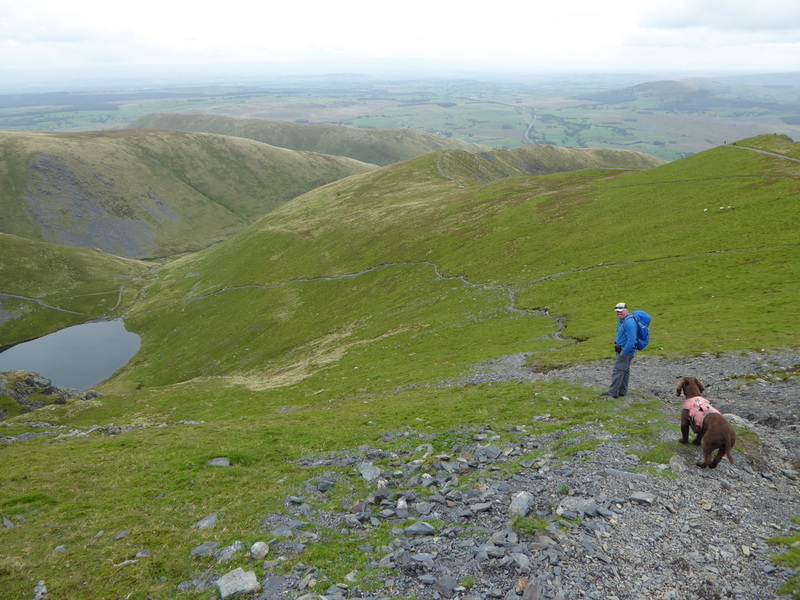 ​Therefore Angie & Fudge made their way up to Atkinson Pike via the very good path from Scales Tarn and would meet me up on the ridge. 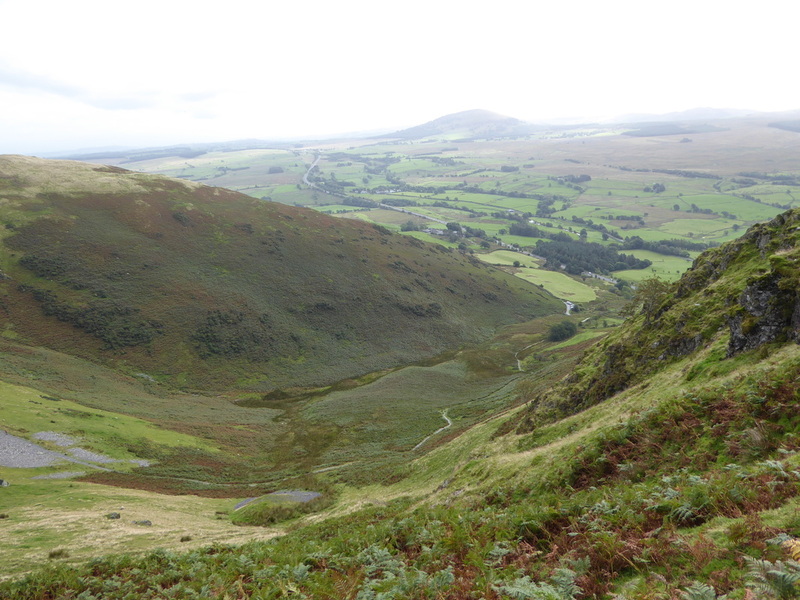 Looking back down my route of ascent along the Edge - imagine this with ice on! 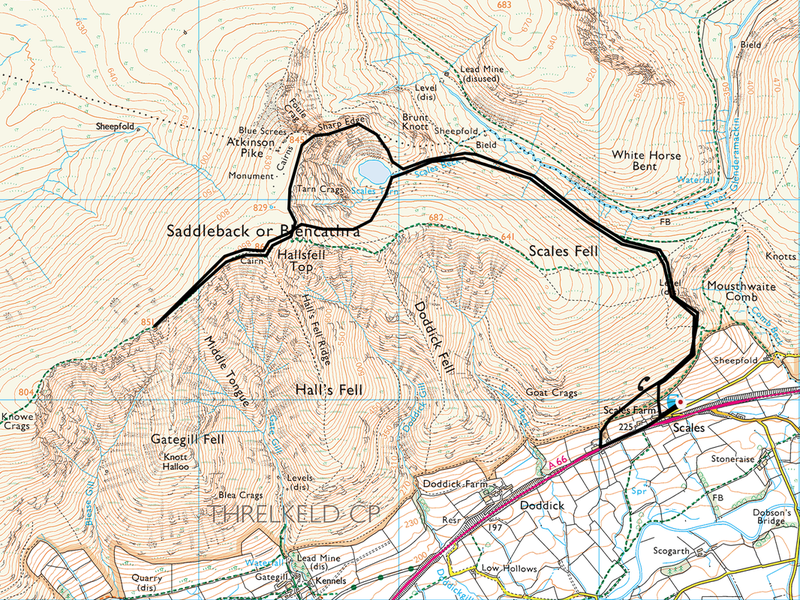 This was such good fun - nobody on this stretch therefore I was able to take my time and really savour the scramble. 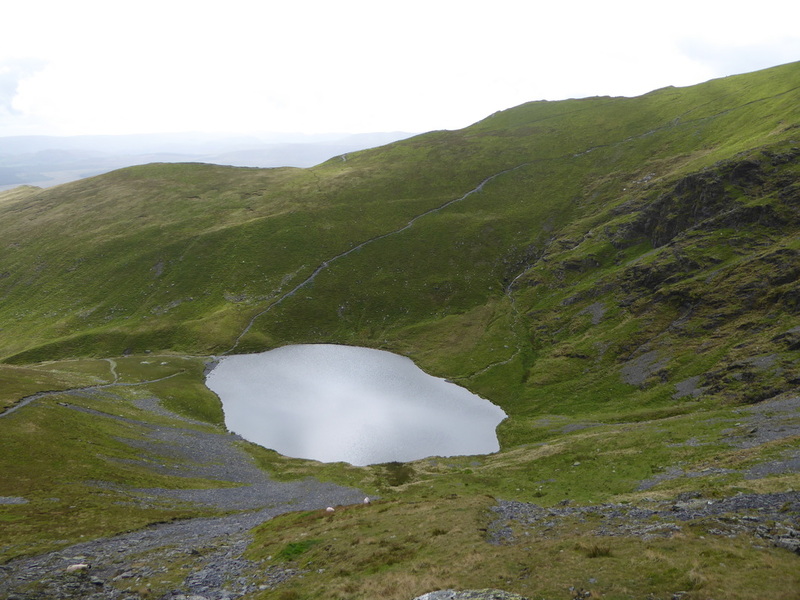 ​The Father & Son I met at Scales Tarn are in the centre of shot. 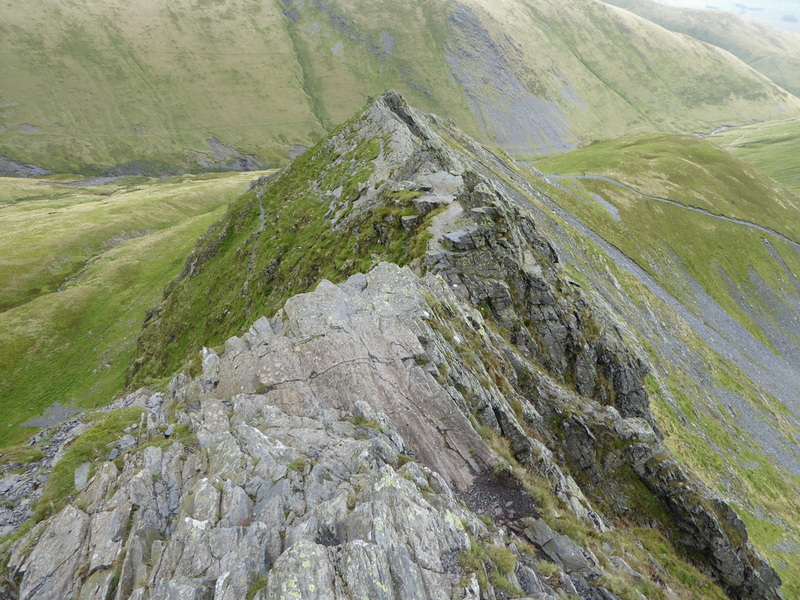 Another view from further up the shattered arete of Sharp Edge. 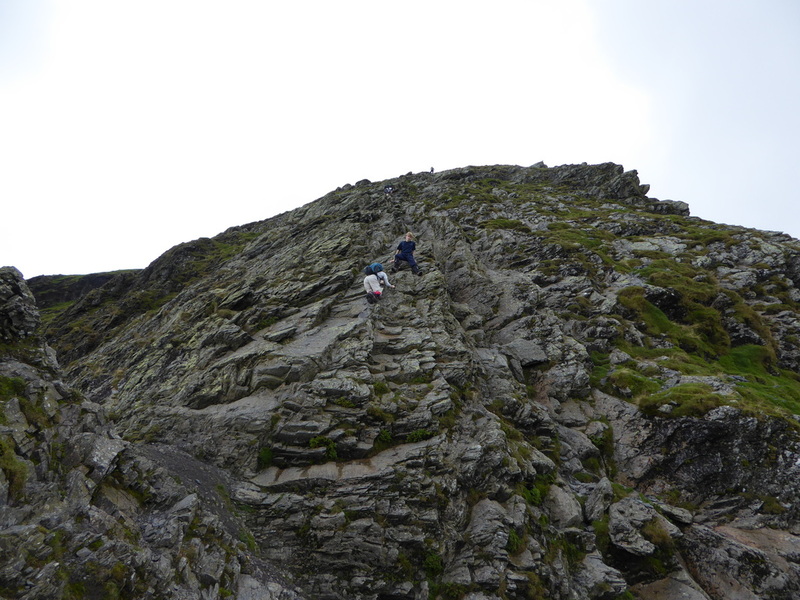 Once the Bad Step is negotiated there then begins a tricky scramble up a rock face. 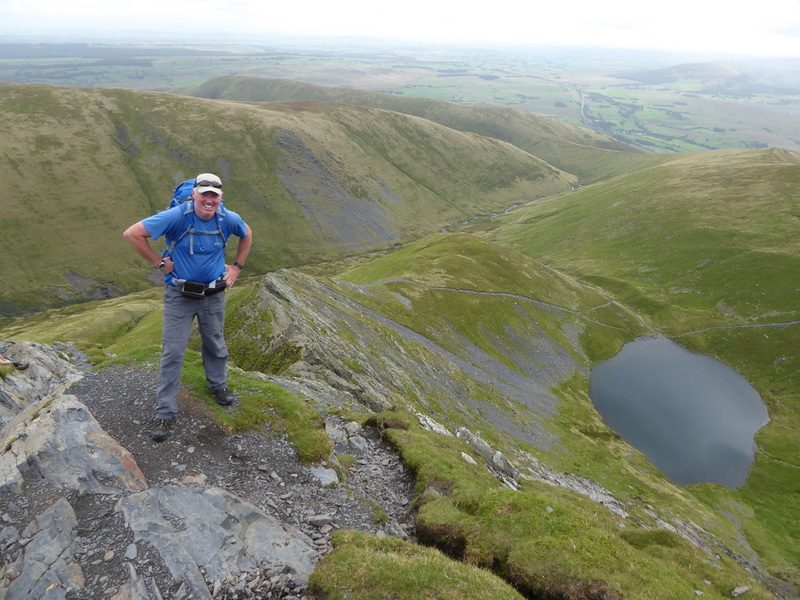 Made it - the top of Sharp Edge. I really, really enjoyed that. 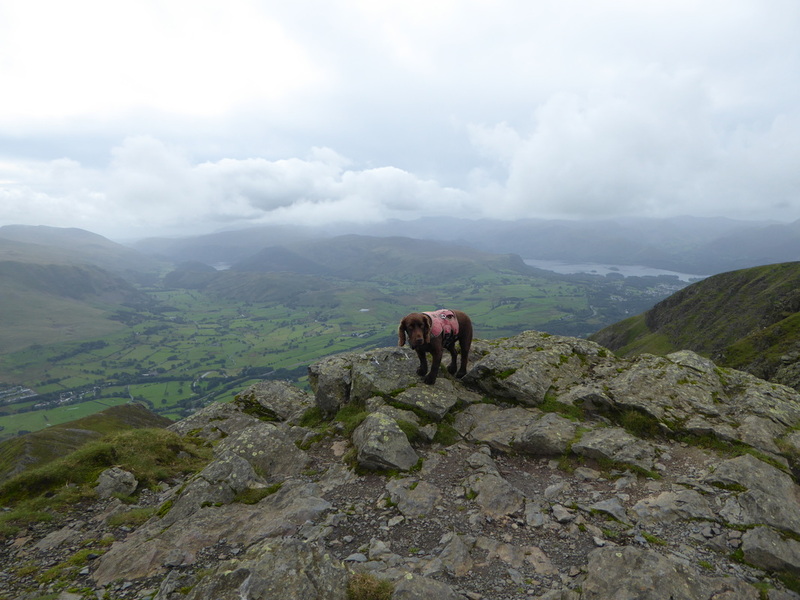 Fudge is probably wondering why we have to descend down the same path he came up - coz we do pooch! In you go Fudge - what are you waiting for? Once he is in it is hard to get him out!